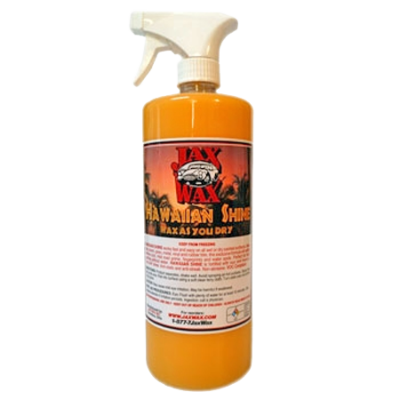 Jax Wax Hawaiian Shine Spray Wax is a versatile product that can be used on a dry surface like a “Quick Detailer” or on a wet surface to “Wax As You Dry”. The exclusive formula of Jax Wax Hawaiian Shine Spray Wax safely removes dust, mild road grime, fingerprints, bird droppings, bugs and water spots from any surface. Jax Wax Hawaiian Spray Wax is a quick and easy product to give your vehicle’s finish that freshly detailed “Just Waxed” look. 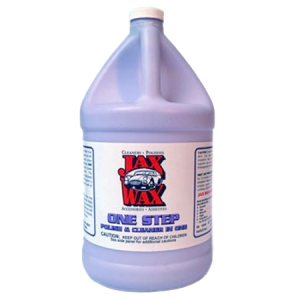 Jax Wax Hawaiian Spray Wax is anti-static and will not streak or smear when used on dry or wet surfaces. Jax Wax Hawaiian Spray Wax can be used on any part of your vehicle even in the direct sunlight and high heat of the day, leaving a slick and glossy finish.Jax Wax Hawaiian Spray Wax is ideal when used like a “Wax As You Dry” for larger vehicles like RV’s where waxing a large area is too labor intensive and you are short on time,Jax Wax Hawaiian Spray Wax also extends the protection of any existing wax that you have on your vehicle.Most people keep a small trigger-spray bottle and a Microfiber Towel handy in their vehicle when they need that quick, 5 minute detail. 1. Product is separated – shake well. For best results use several Microfiber towels. Microfiber towels are extremely absorbent. Use one Microfiber Towel for your first pass to collect the majority of the water remaining on the finish and wring it out as you go. Follow with a dryer towel to collect the rest of the remaining moisture and wipe to a brilliant finish. For best results start at the top of the vehicle, working your way own the sides and finishing at the bottom. 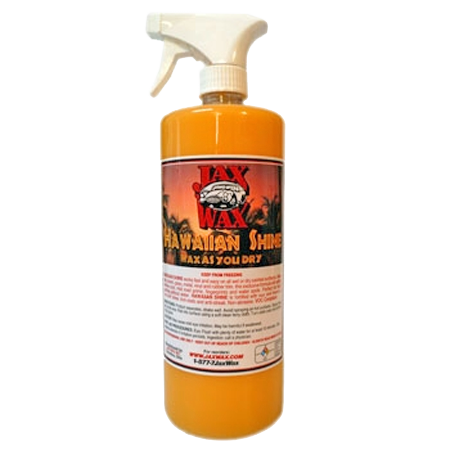 Be the first to review “Jax Wax Hawaiian Shine Spray Wax” Click here to cancel reply.